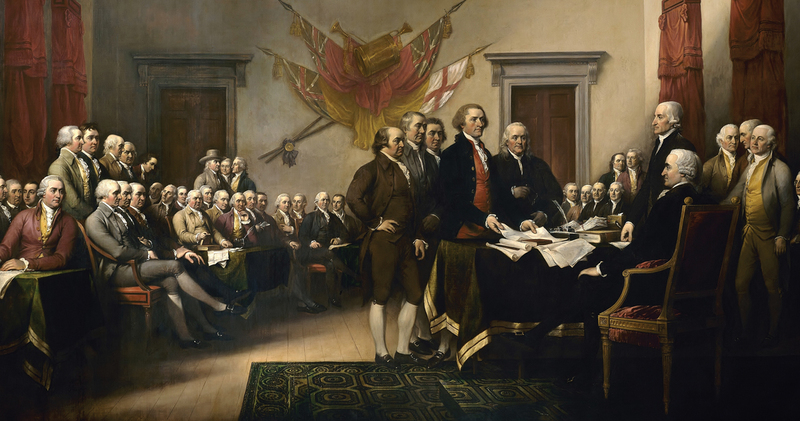 The year was 1776, and against a backdrop where the freedom of the American colonists was consistently infringed upon, a group of men had just signed the most profound document ever to acknowledge the God-given liberty that humanity should enjoy as our birthright — the American Declaration of Independence. The concluding sentence of this document states that the signers “mutually pledge to each other our Lives, our Fortunes, and our sacred Honor.” These words were chosen carefully, and though the Founding Fathers pledged all three, I contend that a person who sacrifices even just one of these in defense of freedom is nothing short of a hero. Fast forward to 2019, and we are surrounded by constant reminders that the battle for freedom is a living struggle that must be relentlessly and actively fought. Our taxpayer-funded universities are increasingly telling students that they cannot fully exercise their freedom of speech. Parents are constantly being told that only the state is capable of correctly educating their children for a productive life. And then there are renewed calls to repeal Michigan’s right-to-work law, which protects us from forced unionization as a condition of employment. We need heroes of liberty today as much as ever. Some of us are blessed to use our professional careers to advance freedom. But we all have a role to play and it is a battle we all fight together; none of us, individuals or institutions, can win it alone. Your financial gifts, dear reader, are a heroic act. Thank you for making 2018 the year that the Mackinac Center was the best equipped we’ve ever been to be your voice defending, and indeed advancing, liberty. In 2019 let us keep alive and continually renew the pledge that was made between heroic men centuries ago — and is still relevant today.